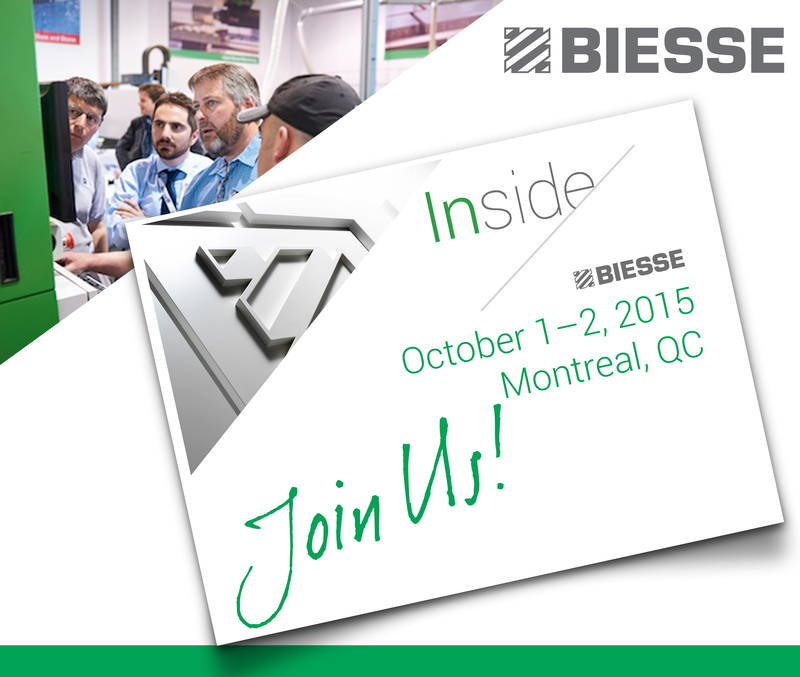 Join us at our Biesse Inside Montreal Fall 2015 Event for your opportunity to test drive some of the industry’s most cutting-edge machinery! You’ll have the same One2One experience of working directly with Biesse product specialists and industry professionals, exchanging ideas and learning about new technology, but we want to invite you to get an inside look at our showrooms, training centers, service hubs, as well as meet the staff that work with you on a day to day basis. This year, we’ve changed the event name to Biesse Inside to reflect the complete package. Don’t miss this exclusive opportunity to see our latest machine lineup. Consult with Biesse’s product managers, each with over 20 years experience in the woodworking industry, who will be on hand to show you how Biesse technology can increase your production and improve your bottom line. Please join us and let our knowledge go to work for you!